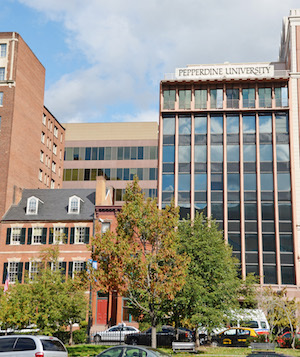 Pepperdine University School of Public Policy, in partnership with the Fred Sands Institute of Real Estate at the Pepperdine Graziadio School of Business and Management, will host the seminar “The Future of Housing: Protecting Taxpayers and Ensuring a Robust Secondary Housing Market” at the Washington, DC, campus on Tuesday, July 25, at 11:30 AM. The panel discussion will focus on the future of housing finance reform, as well as its long and short-term effects on taxpayers and market stability. For those unable to attend, the event will be broadcast live via Livestream. Visit the School of Public Policy website for additional information. University News Community School of Public Policy Law & Policy Campus Events GSBM Law & Policy Lectures and Seminars School of Public Policy Washington, D.C.